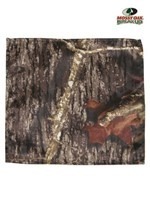 This Lacy Mossy Oak Garter is a subtle way to acknowledge your date's love of the outdoors! 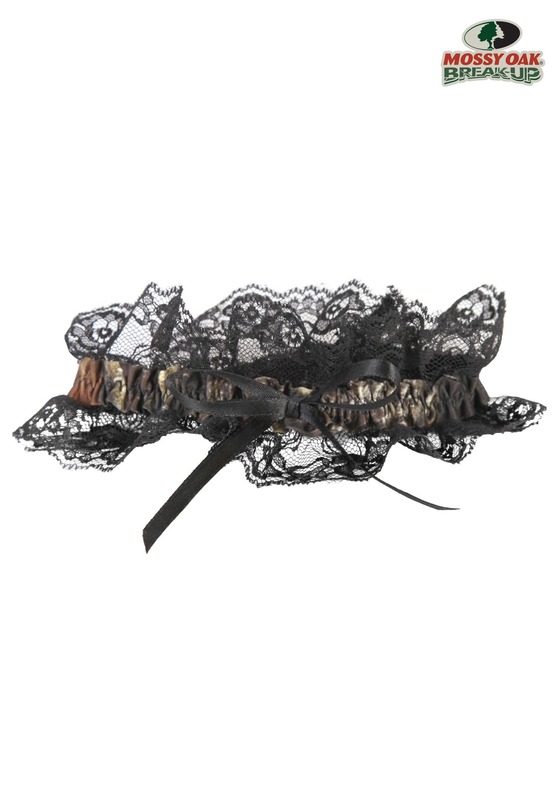 It's 100"% polyester fabric gathered over an elastic band, edged with ruffled black lace, and decorated with a black satin ribbon bow. 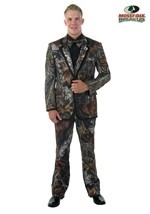 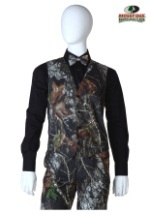 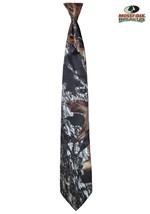 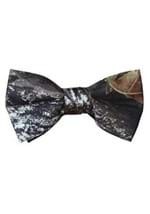 If you want to be more obvious, add our Mossy Oak sash, too. 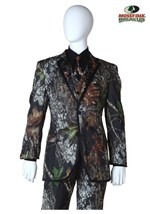 And no, lace and camouflage is NOT a contradiction in terms!